Dr. Steve Bounds, associate professor of educational leadership and interim department co-chair, was interviewed for an article in today's Jonesboro Sun. The article is about a proposed bill in the Arkansas General Assembly, the Arkansas Parental Empowerment for Education Choice Act of 2017, which would rely on education savings accounts to pay student expenses at a private school. Bounds commented on the potential financial impact of the bill. Dr. Bruce Faske, instructor of trombone, recently presented an invited guest artist recital at Baylor University, his alma mater, and participated in several professional development activities while in Waco. He guest lectured in a graduate brass pedagogy class, recorded a live episode of his podcast, "Get Some Grit," performed with the Waco Symphony Orchestra, and observed other professors in the teaching environment. Melissa Wilkinson, associate professor of art, received the Scarlet Bella Award during Pack Pride Day festivities Monday. This award is given to a faculty or staff member who has significantly influenced A-State students through positive attitude and helpfulness and presents an exceptional image of the university. 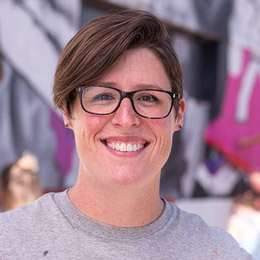 Most recently, Wilkinson's work with students who painted a downtown mural has received positive public attention. Award details are in a news release. 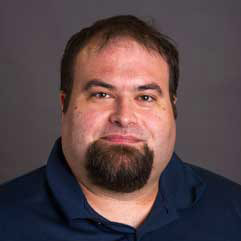 Another award winner during Pack Pride Day was Dr. Doug Whitlock, interim chancellor, who received the Howler Award. This goes to an individual who has consistently demonstrated a willingness to serve students as a teacher, mentor, advisor or coach. 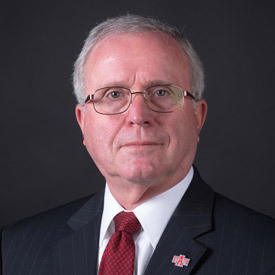 His positive leadership has given continuity to the student experience at A-State. 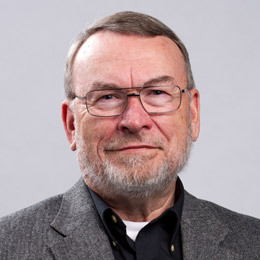 Whitlock, who is president emeritus of Eastern Kentucky University, began serving as interim chancellor last September. This year's winner of the Alpha Wolf Award is the Office of Digital Creative Media. This award is given to a family or organization that has faithfully exhibited their superb support for A-State through the donation of time, gifts or talent. Staff members are Todd Clark, director of creative media; Tyler Silvey, assistant director of digital media production; Blake Emerson, assistant director of digital media design; Blake Simmons, director of front-end development; Joseph Anderson, content producer, and Clayton Hotze, university photographer.